Today I have the last lot of swaps to show you. I have loved sharing each and every one with you. Todays cards look deceptively simple, but each has something a little special. This card by Louise Frazer is something special. From a distance it looks like a jar on a card. 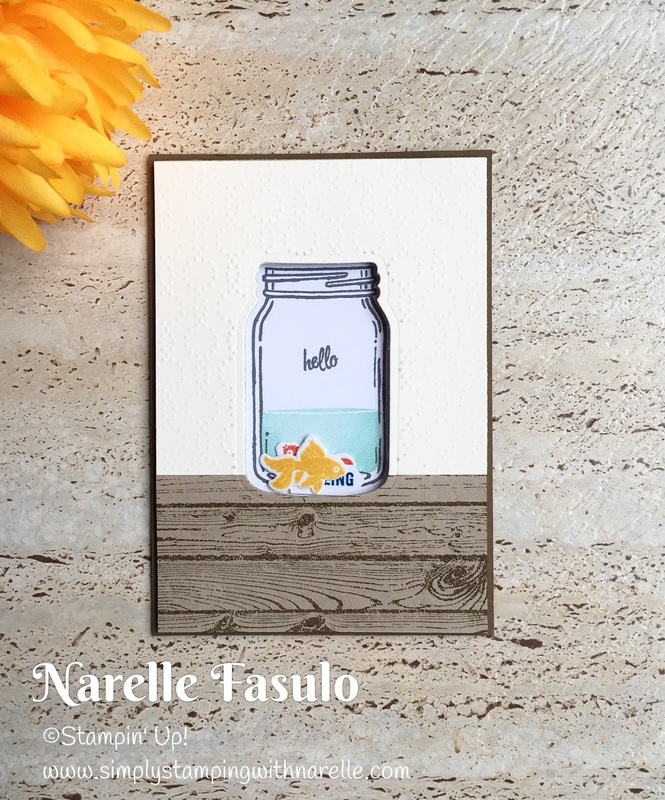 But a closer look reveals a shaker card with the cutest little fish that have had Wink of Stella applied, so they are all sparkly and look wet. Amazing. 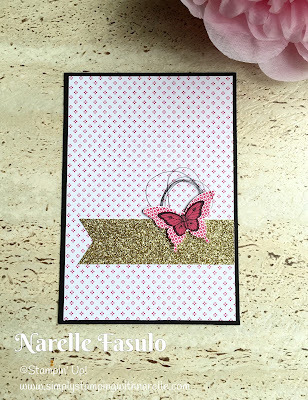 The subtle detail the Elegant Dots Embossing Folder adds is really beautiful too. There is so much I love about this second card. 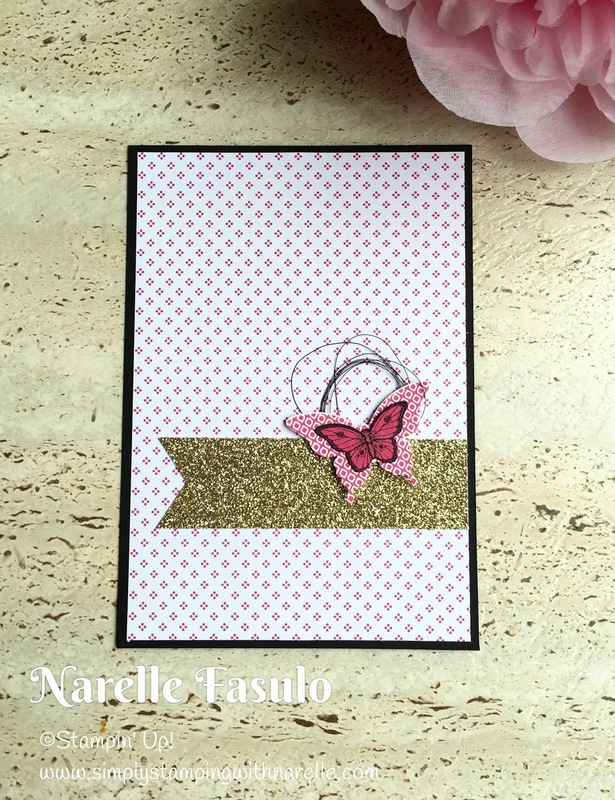 Tamara Greiner has done an amazing job with this card. I love the simplicity of the layout, the colours and of course the glitz. Who doesn't love a bit of glimmer paper. The butterfly on butterfly is so striking. Well that concludes my little series on the work of others. I hope you have enjoyed it as much as I have enjoyed bringing it to you. 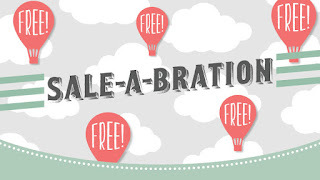 Tomorrow sees the start of Sale-A-Bration. 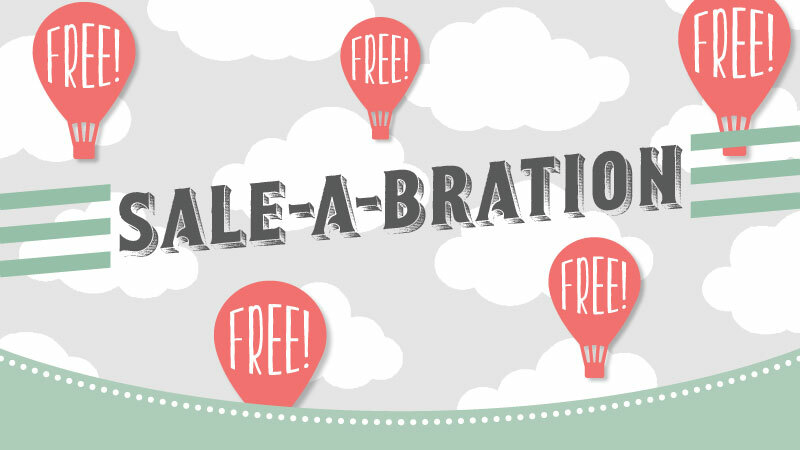 For every $90 you spend you get a FREE item from an exclusive range of items. 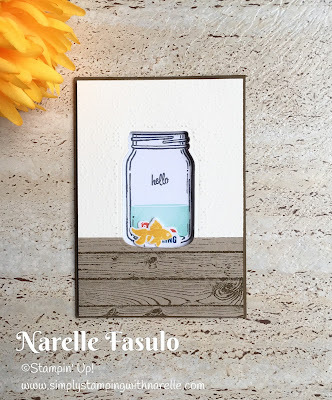 You can order through my online store, or by emailing me, calling me or texting me. If you don't have my email address or mobile number, then just fill out the Contact Me form on the right side bar and I will be in touch as soon as I can. When ordering online, be sure to add this Hostess Code - PZYC2MN6. When you do you will receive a sampler pack of the following items.